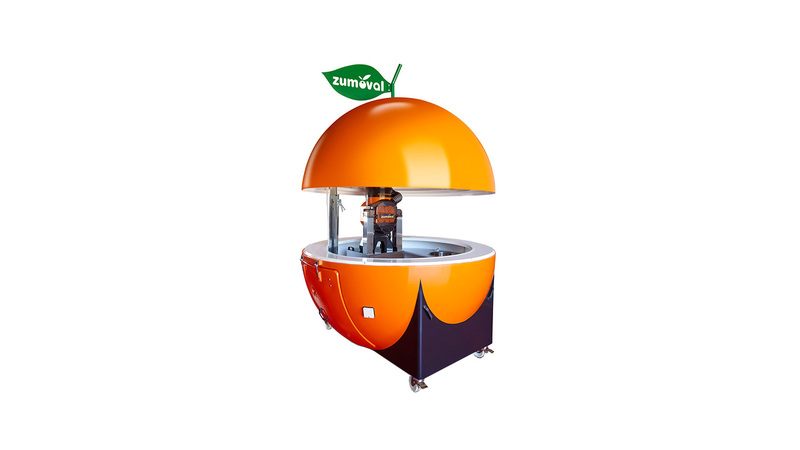 The Zumoval Kiosk is an attractive orange form, made of fiberglass which is equipped with wheels, power and water Supply and a drainage stack. 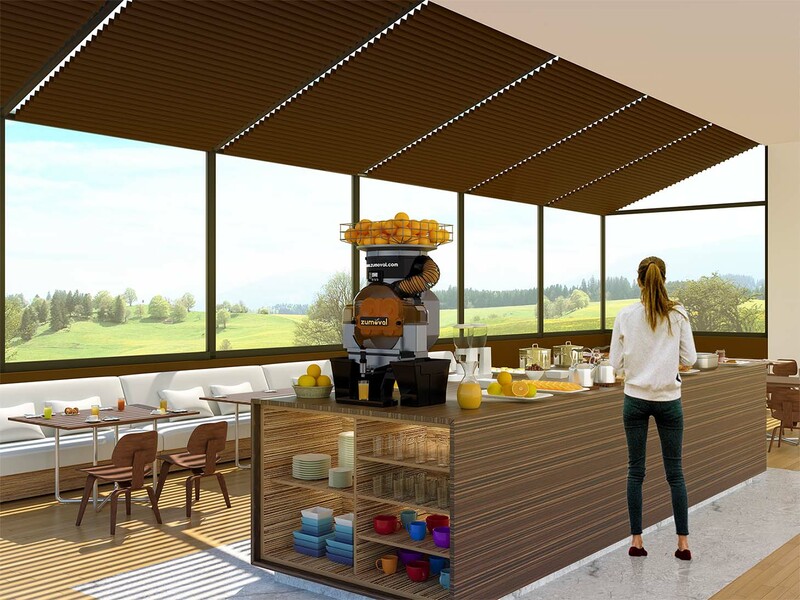 Opening and closing is easy because of the hydraulic open-close system. 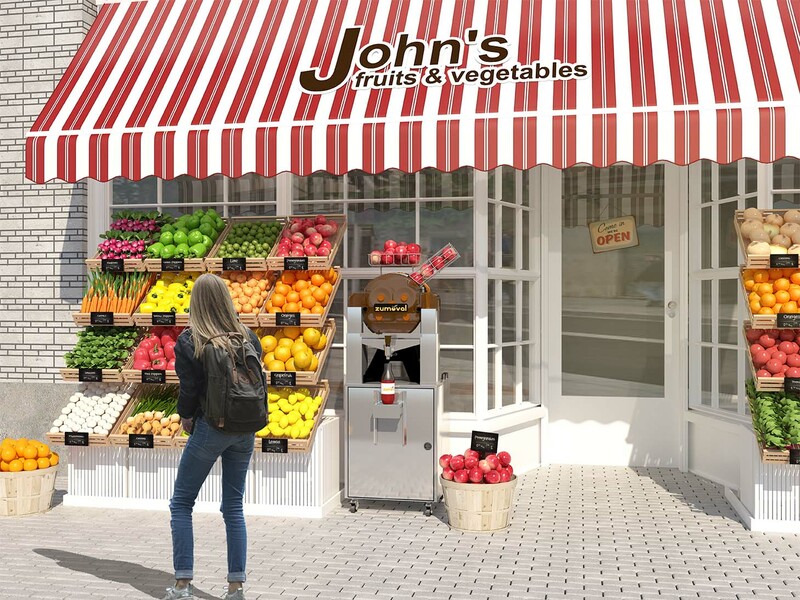 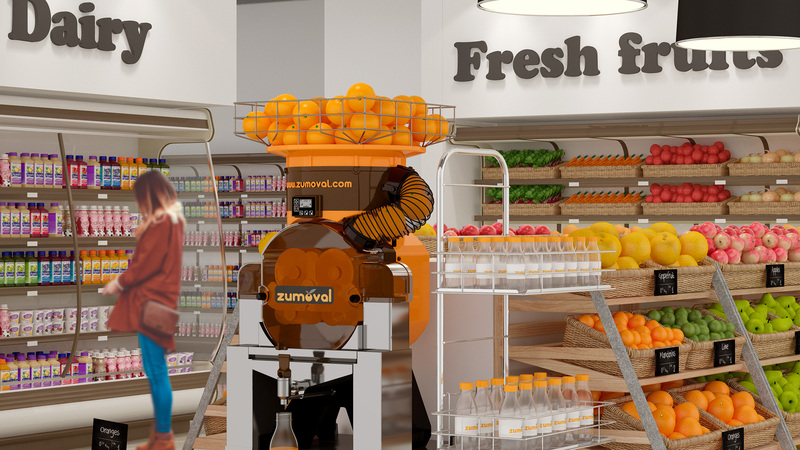 Without any doubt, the Zumoval Kiosk, is a perfect extension of the actual Zumoval range which will be able to fulfill the needs of the clients who wants to offer fresh juice in public areas, events and malls.